Classic style with modern function. The Bell Riot Helmet is designed based on the popular Custom 500 platform, perhaps the most iconic motorcycle helmet of all time. The Riot updates the vintage feel with a modern, easy to change faceshield mechanism and eyeport gasket to create a much more practical design. Enjoy the convenience of being able to raise your faceshield at a stop to avoid fogging, speak to your riding buddies or catch a breath of fresh air. And if you get caught in the rain, the modern eyeport gasket creates a seal with the face shield, preventing water ingress at the browline. 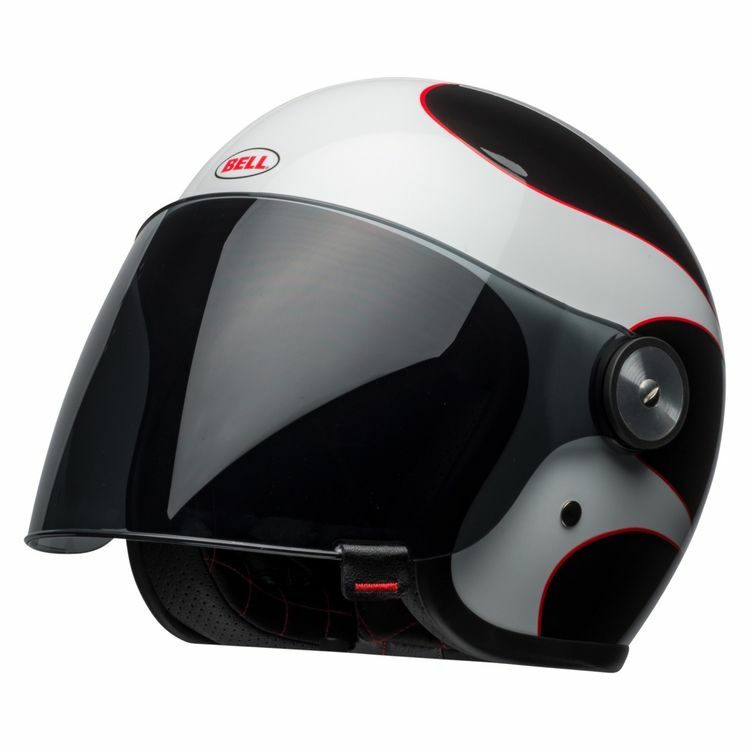 If you are looking for a clean classic style but modern moto function, the Bell Riot Helmet is the perfect balance.